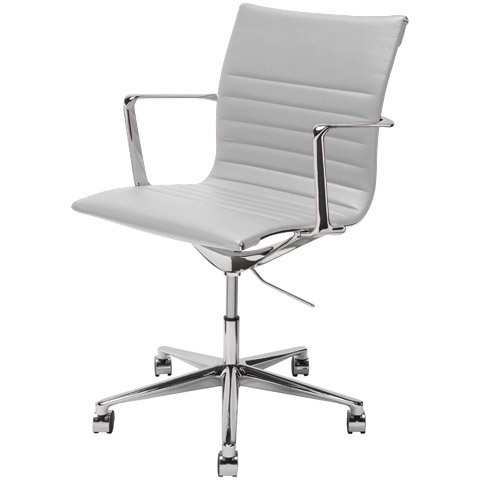 A bold and classic piece, the Antonio Office Chair offers undeniable style and comfort. 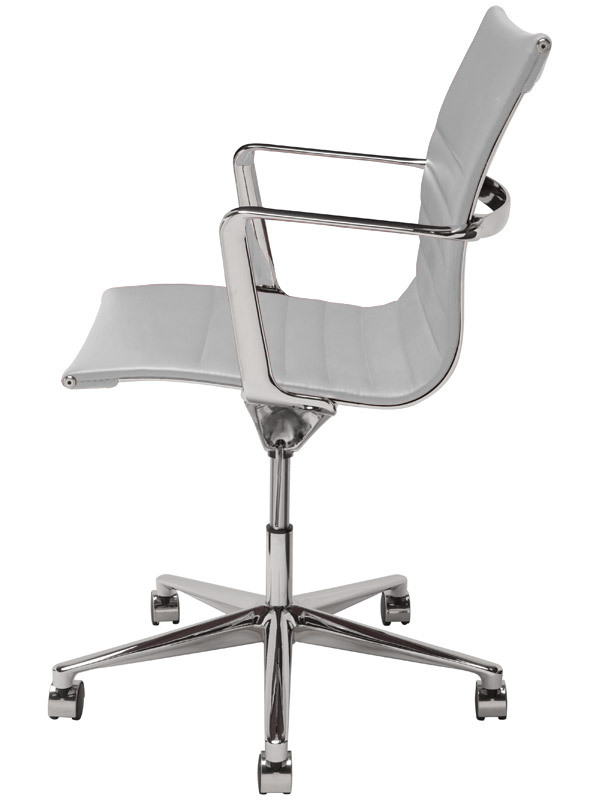 Antonio is constructed with a chromed steel frame and arms, five-point base and chrome capped nylon casters (to protect your floors). 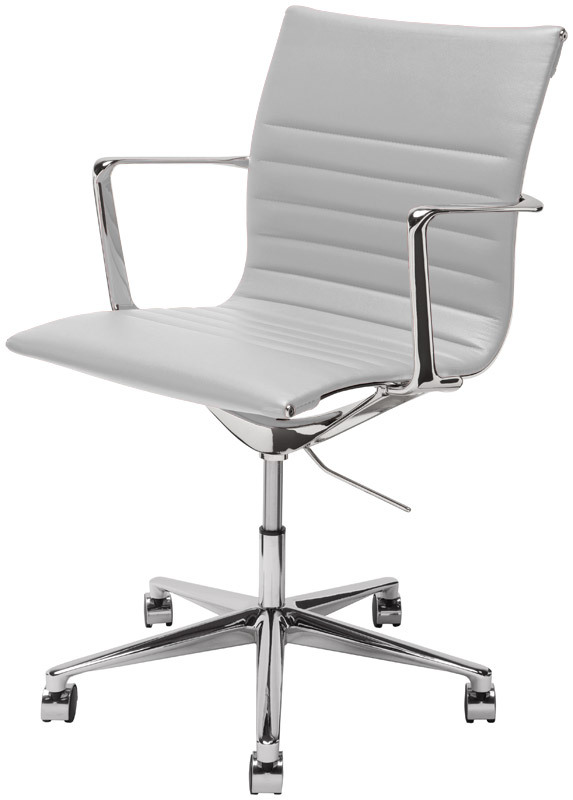 Available in your choice of subdued or bright naugahyde upholstery, you're sure to find an Antonio Office Chair that's the perfect compliment for your modern office. 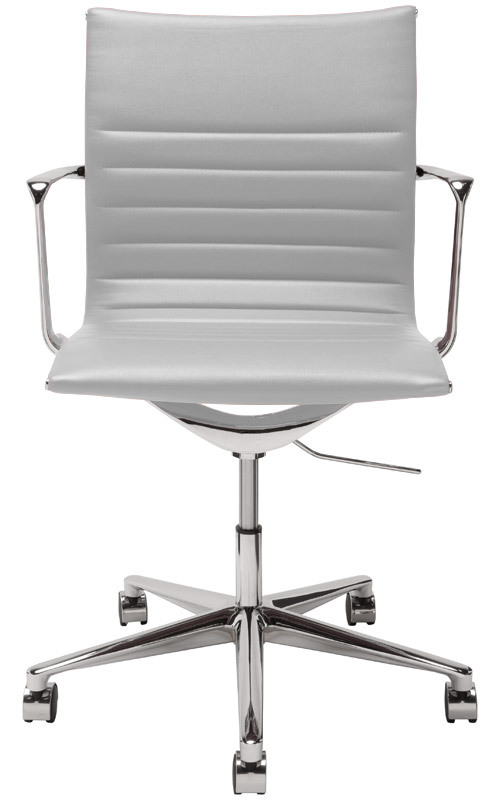 Seat height: 18.75 - 21.75". Seat depth: 17". Arm height: 27-30".